Charles Louis St John Pearce was born in London on 28 December 1877 to Charles Edward Pearce and his second wife, Catherine. He had a half sister, Mabel, by Charles’s first marriage, and two younger siblings, Edward and Catherine. Like Edward, his first love was painting. In the 1911 Census, the brothers are living together and both give their profession as “artist,” but St John changed direction after the First World War and joined the Amalgamated Press as a writer. He wrote a great many stories for Amalgamated Press under his own name​—​mostly credited as St John Pearce but also C. L. Pearce​—​and a raft of pseudonyms. Like many authors of the time, he wrote stories in papers targeted at boys under his own name and adopted a female name for girls’ papers. Some of the names he used were Ada Crundall, Dorothy Vernon and Iris Holt. The first two of these are easy to explain. Ada Crundall was his first wife’s maiden name and Dorothy Vernon (1920‒1999) was their daughter’s name. Dorothy received her names from St John’s sister’s and brother’s middle names. Edward Vernon Pearce (1883‒1918) died while serving in France, just three days before the Armistice, two years before his namesake’s birth. St John served in the Royal Garrison Artillery and, as far as I can tell, didn’t go to France. After Amalgamated Press acquired Chums in 1927, St John’s poems and public school stories appeared there. 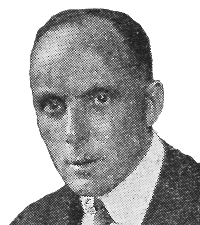 Seven of his stories were published as books by Ward Lock between 1922 and 1934. St John died in London on 16 December 1941, aged 63. He was survived by both children from his first marriage, Dorothy (1920‒1999) and John (1926‒2012) and by his second wife, Gertrude (1899‒1983).